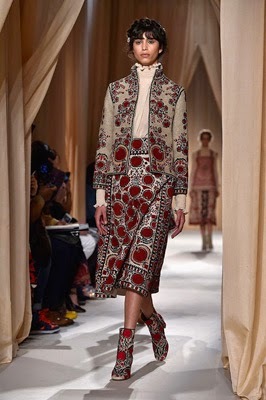 Although Garavani Valentino retired in 2008, creative directors of the fashion house, Maria Grazia Chiuri and Pierpaolo Piccioli, have continued Valentino's signature opulence. They are also respectful of the house's preset design codes, from Valentino's special red to his beloved high neckline. 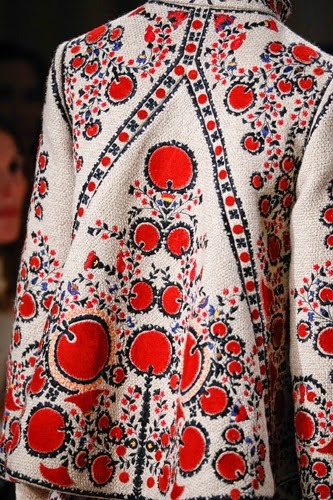 The Valentino 2015 haute couture spring/summer collection, in parts folkloric, was inspired by Central Asian, Russian and Ukrainian patterns. 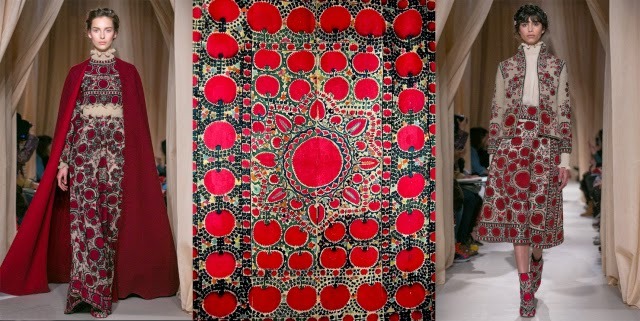 It included stunning dresses, skirts and accessories with Central Asian suzani designs. 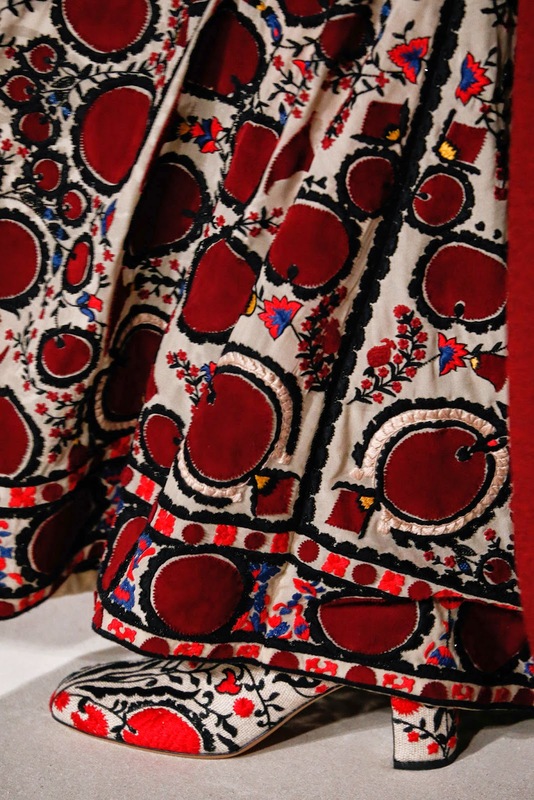 This is not the first time Central Asian patterns have been incorporated into couture pieces. Oscar de la Renta started the ikat trend in 2005 and then Dries von Noten and Gucci followed. Since then, ikat continues as a strong fashion and interior trend. Although there are many embroidered items for sale in Uzbekistan, Samarkand designer Nargis Bekmuhamedova sets the benchmark for quality, style and design. Working with a women's cooperative in Nurata, Nargis commissions suzani embroideries for her unique coats, dresses and accessories. She also uses old suzanis and vintage woodblock printed fabrics to make exquisite coats, skirts and jackets. On an Uzbek Journeys tour you visit Nargis' atelier in Samarkand. And in Tashkent a visit to to one of the finest embroiderers in the country is included: Medena creates bags, ballet flats and boots as well as dresses and skirts. 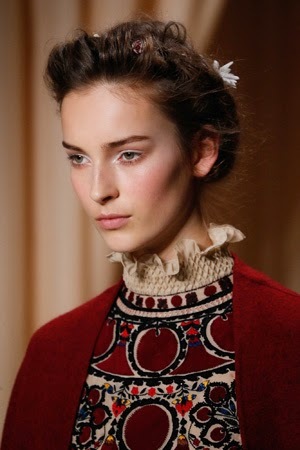 Swoon at the images below of Valentino 's meticulous detailing and embroidery.